Another day, another great holiday read to recommend, this time it’s Standard Deviation by Katherine Heiny which filled some very happy hours on the plane and the beach last week and which I’m sure I’m going to be recommending to a lot of people this summer. I love the origami figures but I’m still not quite sure the cover of this really does it justice. Graham Cavanaugh is on his second marriage. Wife #2, Audra, is one of Those Women – you know the sort – who know every one, who makes friends effortlessly and opens her arms (and home) to any waif or stray of her acquaintance (no matter how tenuous the connection) who needs help. They have one child, origami-obsessed Matthew, who has Asperger’s and sees the world slightly differently and finds a lot of it a bit challenging. When Wife #1, Elspeth, re-appears in Graham’s life, the contrasts become apparent. Because of course Audra wants them to be friends with Elspeth and so their lives get tangled up together all over again. This is a fun, witty and touching look at the choices that we make and how our lives can change. Just reading about life with Audra makes you tired, but despite that and despite her nosiness and lack of boundaries you still warm to her. I don’t think I’d want to be friends with her in real life, but then the same applies to Graham and to Elspeth too. They all have their monstrous moments, but it makes for fascinating reading. It has some heart-warming moments too – mostly dealing with Graham’s hopes for Matthew as he grows up and Audra’s efforts to try and give him a normal life. This is Katherine Heiny’s first novel, but it doesn’t feel like a debut. It feels like the work of an author who is already well in their stride, with confidence in the characters that they have created and the stories that they are spinning. But perhaps that is unsurprising given Heiny’s background in short stories. She’s been published in the New Yorker and had a collection of short stories – Single, Carefree, Mellow – published a few years back*. This article from the Guardian says that she’s written more than 20 Young Adult novels under various pseudonyms, but frustratingly doesn’t give me any titles (and nor does good reads) which doesn’t help me with my need to glom on everything that she’s written. Luckily I have a New Yorker subscription so I can go back and read the full version of How to Give the Wrong Impression from back in 1992. If you like Nora Ephron movies and books, this may be the beach read for you. In writing this I’ve seen lots of comparisons to Anne Tyler (who I’ve never read but always meant to) so I’ll be recommending this to my mum who’s had a bit of a Tyler thing recently. 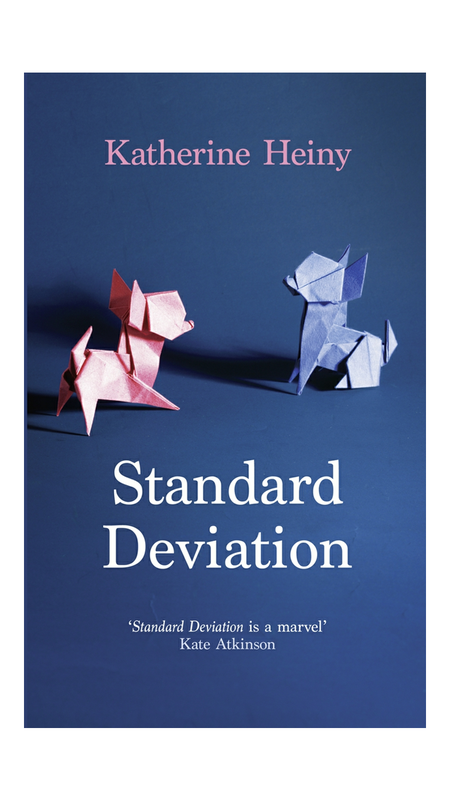 My copy of Standard Deviation came via NetGalley, but it’s out now in hardback (sorry) and you should be able to get hold of a copy from all the usual places and it’s also available on Audible (the link may only work if you’re signed in) Kindle and Kobo. *which is now on my wishlist unsurprisingly!